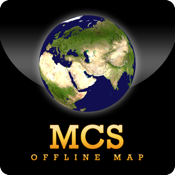 Hobart Offline Map is a iOS application for travellers. It's fully compatible with iPhone and iPod touch. The map is rendered on device delivering a crisp display on retina and standard displays. - Fully iOS 5 Compatible. - Easy to use zoom in and zoom out just like Google Maps Apps using pinch. - You can pinpoint your current location on the map,It has the GPS tracking capability. - You can add book mark of your own location. - You can add details of the bookmark and add photos to the bookmark in the photo section. It will become a travel diary for you. You can also manage your album and share on Facebook, Twitter, Email etc.